Bring Minecraft to life using LEGO parts! Build a motorized walking Creeper, a terrifying Ghast, and a motorized Minecart! This project-based camp, designed by Play-Well instructors, combines the basic format of our core engineering-themed programs based on the world of Minecraft. Students will explore real-world concepts in physics, engineering, and architecture while building their favorite Minecraft objects. Students will have a blast, even without any prior experience with Minecraft or the LEGO building system. What are the goals of the summer programs? Our Pre-Engineering summer programs are primarily focused on BUILDING techniques. What is the format of a Play-Well TEKnologies Engineering summer program? We typically work on 2 different engineering and architectural projects per day. Projects typically start with an introduction and short presentation by the instructor followed by a design/building assignment. Students have access to approximately 100,000 pieces of LEGO® materials to use in creating their engineering projects. Students are introduced to engineering terminology that they are encourage to use throughout the class when identifying pieces, posing questions, or assisting each other. Instructors circulate and assist the children in realizing their project goals. When the participants have satisfied basic requirements of a project, they are encouraged to further explore engineering applications of the principles and construction methods by inspecting, testing, modifying, and rebuilding. At the end of each class session, students are expected to dismantle their projects and put away their materials. Will the students take anything home with them at the conclusion of the summer program? Unfortunately, the campers don't get to take any of the LEGO® materials home with them. We re-use the materials with our other summer programs and classes. If we saved projects, we would not have enough materials for our other summer programs. What are some of the concepts covered in your summer program? Will Play-Well TEKnologies Engineering summer programs be a repeat for my child if they have already attended previous Play-Well summer programs and/or enrichment classes? While there are some fundamental projects that are revisited in summer programs, our instructors offer advanced challenges and modifications for any model that will push even the most experienced Lego Maniacs to the next level! Our curriculum is flexible and adjusts to the interests and experience level of the students. With hundreds of projects to choose from and a constantly expanding curriculum, our instructors look forward to continually challenging the most advanced students to reach their full potential. We also encourage our students to communicate when they desire a new challenge that meets their building skill level. Our responsibility as instructors is to never leave any student bored or unchallenged! ADVANCED SUMMER PROGRAMS / "CHALLENGES"
Are the Junkyard Challenge and Bash `Em Bots summer programs more advanced than the Engineering Fundamentals summer programs? Yes. Instructors expect that participants in either the Junkyard Challenge or Bash `Em Bots summer programs are already familiar with basic engineering concepts and techniques taught in our Fundamentals summer programs. These advanced classes require a more open-ended creative application of building techniques to accomplish specific goals and challenges. We strongly encourage students to take our Fundamentals summer programs before enrolling in our more advanced summer programs. Do I need to sign my child in and out? We ask that you sign your child in and out each day of the summer program. To ensure the children's safety, our instructors stay in the classroom with the child until a parent / guardian is there to pick them up and sign them out. This also gives us the opportunity to get to know your family and touch base before or after class! Can we get pictures of our child's final projects? We encourage parents to come 30 minutes before the end of class if you would like to see your child's specific project. If you cannot come early, we suggest giving your child a disposable camera, which would allow them to save a "snapshot" of their project. Can we purchase the LEGO® parts used in summer programs? Unfortunately, we do not sell the Lego parts used in our summer programs and classes. We encourage parents to visit our website, play-well.org, and check the `materials' link which lists the places where we obtain pieces for our kits. Should my child bring a snack to summer program? We will take one break midway through class. We do not provide snack but encourage parents to provide a peanut-free snack for their child. For parents of children allergic to peanuts, we cannot guarantee that Lego pieces in our kits are completely free of peanut oils. Do the kids go outside at all during summer program? Depending on the weather, we may take the group outside to eat snacks during our break. At this time we may allow the kids to run around and play a bit if there is a sufficient amount of space at the site. Please feel free to send your child with a hat/ sunscreen if you choose (please apply sunscreen before class begins!). Play-Well is now in over 2000 locations nationwide. 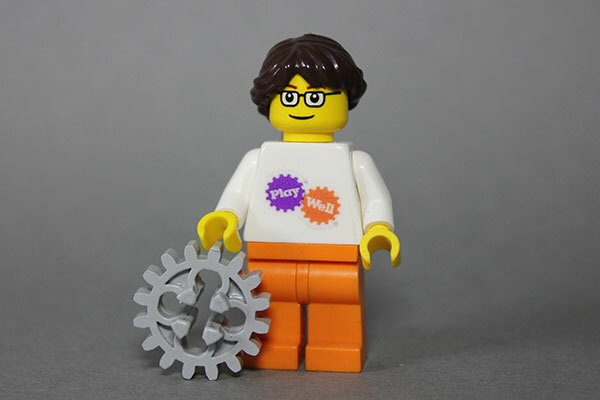 LEGOÂ®, Duplo®, Mindstorms®, the LEGO logo, and the brick and knob configuration are trademarks of the LEGO Group. Â©2018 The LEGO Group. These programs are not authorized, sponsored or endorsed by the LEGO Group.